Here’s a smashing new casino that’s packed with one of the biggest and most diverse pokie collections around! The Grand Ivy Casino have recently popped up on our radar so we thought we’d check them out. 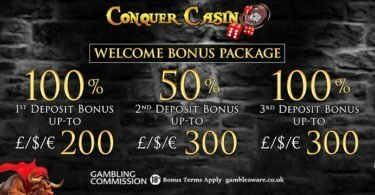 We were further inspired to give them a try thanks to their no deposit spins offer! 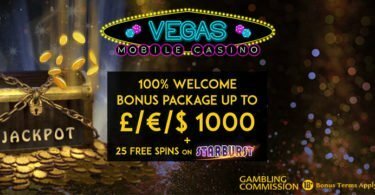 We registered an account, which was quick and easy and our free spins meant we could give them a spin without the need to make a deposit. The first thing we noticed is the well laid out casino lobby which proudly displays some of their most popular pokie titles. The design is classic with a nod to old school casino glamour, and as it’s instant play you can get started pretty quickly. 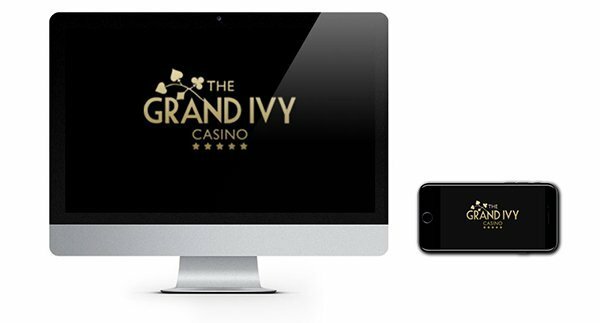 The Grand Ivy Casino are also compatible with most mobile and tablet devices so you can play on the go. 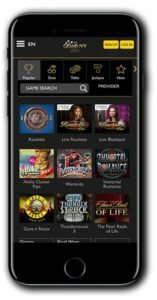 The Grand Ivy is another great example of a multi-software casino and they’ve really gone to town when it comes to picking the best in the industry. Their 500+ games collection features new and popular titles from NetEnt, NYX Interactive, Leander Games, Betsoft, Amaya, Quickspin, 1×2 Gaming, Elk Studios and last but by no means least Thunderkick! The developers of this casino certainly weren’t messing around when they pulled this pokie collection together! Thanks to the epic line up of providers the choice is not only huge but incredibly varied with a wide assortment of themes, paylines and bet levels to suit every taste and budget. The games are blissfully easy to navigate and handy filter options allow you to narrow down your search to your preferred style of game or indeed favourite software provider. Here’s just a small selection of their popular titles: Jimi Hendrix, Drive Multiplier Mayhem. Witch Pickings, Guns ‘N Roses, Aloha! Cluster Pays, James Dean, Jacks Beanstalk, Esqueleto Explosivo and Hook’s Heroes. There’s also some big bucks waiting to be won in their collection of jackpot pokies which includes Mega Fortune, Hall of Gods, Arabian Nights and Cosmic Fortune. Besides the pokies there’s plenty to get stuck into including classic blackjack, blackjack pro, double exposure blackjack, America, European and French rules roulette, baccarat, Caribbean stud poker, oasis poker pro, casino hold’em and pontoon. Scratchie fans can choose from a dozen titles and if you want the real Vegas casino experience you can enjoy several live versions of the popular games of blackjack and roulette. 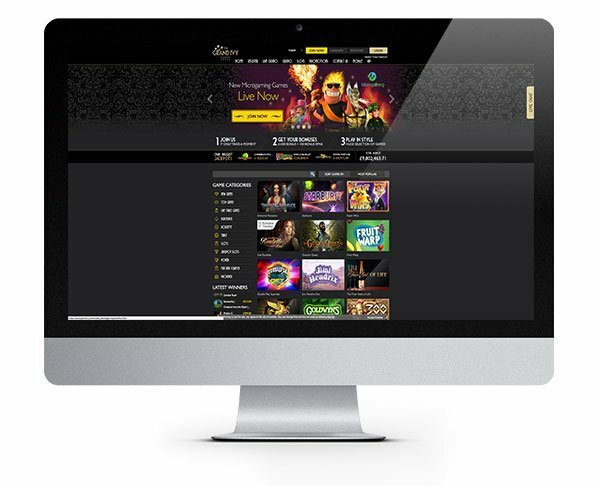 The Grand Ivy Casino offer peace of mind to their players thanks to their 24 hour, 7 day a week live chat service. You can get quick and helpful answers to most queries this way or if you prefer you can drop them an email. They are fully licensed by the UK Gambling Commission and Curacao eGaming, who are two of the most stringent in the industry. This means players are protected with regards to their online security and fair gaming. They accept multiple currencies including Dollars and players can make secure deposits using the following methods: Visa, MasterCard, Neteller, Skrill, POLi, DotPay, GiroPay, Trustly, Sofort, Paysafe Card and bank wire transfer. That’s 100 extra spins and up to £1500 in match bonuses, that’s not a bad start! wagering requirements are 35x. Open to new customers only. We recommend you check the full terms and conditions (above) relating to this welcome bonus before signing up. A great all rounder, The Grand Ivy Casino offer a wide choice of pokies and classic casino games from the world's leading software developers!